Kiteboarding Right-of-way Rules: In crowded conditions the possibility to collide with other kiters exists. It is important to know how to react and behave in order to avoid accidents. The following lists are the most common right of way rules for kiteboarders. The incoming Kiter gives way to the outgoing kiter who is launching. Situation: one kite is launching and ready to leave the beach, and another kiter wants to come in and land at the same time.Definition: The launching kiter is standing with their lines tensioned obviously ready to launch.What to do: The incoming kiter should turn around and go back out for another tack, while the launching kiter gets off the beach. Definitions: the upwind kiter is sailing closer to the wind than the downwind kiter. What to do: The downwind kiter has right of way, so they should continue to ride in the same direction and speed, the upwind kiter must give way, by altering direction or speed, usually slowing and going behind the other kiter. tacks, the port tack rider gives way to the Starboard tack rider.Definitions: When you have your kite on the right hand side of the wind window, between 12 and 3oclock. you are riding on “Starboard tack” and have right of way. When you are riding with the kite between 9 o’clock and 12 o’clock. you are said to be on “Port Tack” you must give way. 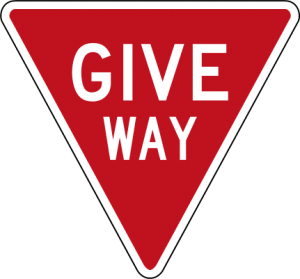 How to give way: To give way to the Starboard tack rider, you should slow down or alter course (usually downwind keeping your kite low). The kiter of Starboard tack should maintain his direction and speed. downwind kiter keeps his kite low. Do not jump when you are upwind of another kiter. Situation: When you are preparing to jump, close to other kiters. Definition: If any part of your jump will take you over near to, or into the path of another kiter or their gear.What to do: Keep a clear area ahead behind, and downwind of you before you jump. Keep in mind your jump may not go as planned, you go wipeout, or go higher and further than you planned. Also the other kiter could change course or act unexpectedly. you jump. Keep a proper lookout at all times. Do not ride close to other riders, they could turn unexpectedly. Look in all directions ahead, behind, upwind, downwind, and straight up! There could be another kiter or someone’s kite above you! incoming kiteboarder. Situation: When riding out through the surf you are going to cross paths with the incoming kiter on the wave.Definition: In a wave area, the rules apply. The kiter coming in is riding the wave. and collision is imminent. The outgoing Kiter must give way,and not ruin the incoming kiters ride (or put him in jeopardy).What to do: The outgoing kiter should avoid riding out through the peak (waveriding zone). If you cannot go around the zone, then you must either stop, steer around, or go the other way to avoid the kiter riding the wave. It depends which way the kiter is riding the wave. kilter on the wave may ride upwind or downwind, it is their choice. the kiteboarder closest to the peak has the wave. Situation: When two kiters catch the same wave at the same time. other kiter that is farther out on the shoulder should keep clear, or get off the wave. Definition, when two kiters catch the wave at exactly the same time, the upwind rider has the wave.What to do: When you have caught the wave with another rider the downwind kiter yields the wave to the upwind kiter. By either turning off the wave, or kicking out ahead of the wave. Keep eye contact with the other guy so you know their intention. non-participant. Do not ask an inexperienced person to launch or land your kite. Keep a safe distance from all bystanders. swimmers, and skin divers, and scuba divers. There are also special rules for Scuba divers displaying a “Dive Flag”. Definition: Surfers, Bodyboarders, Standup paddlers, and Rowers, kayakers, wave-ski riders, and outrigger canoes. This group are more mobile and better able to avoid a kitesurfer. But a kitesurfer must give way to all these too. This group must give way to bystanders & swimmers. window, and unpredictability, generally make them incompatible with operating close to other sailboats.What to do: give way to other sailing craft, keep large buffers between you and other sailing craft. Moderate you speed when close to other sailing vessels, and ride in a predictable pattern. Never fly your kite over a windsurfer or sailing boat. you could clip their mast or worse. Otherwise you should observe normal sailing rules. Situation: When you get close to any commercial vessel.Definition: Ant vessel engaged in a commercial activity, ferries, sea-planes, fishing boats. Recreation boats give way to commercial vessels.What to do: Stay clear of all commercial vessels, ferries, barges, tankers, tour boats, fishing boats. Moored boats and Capsized Boats. similarly restricted in is ability to maneuver.What to Do: Stay Clear of all moored vessels, and capsized vessels, including windsurfers water-starting, unmanned boats, Stay clear of other kiters whose kites are down in the water or who are body-dragging. What to do: Stay clear of sailboat races or other organized events. the other sailor that you are in the middle of a race.